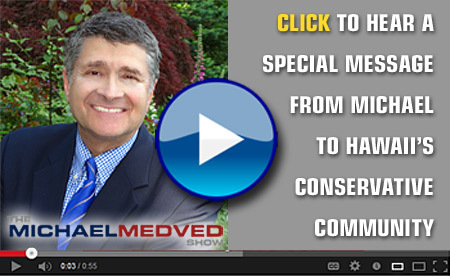 As we enter a new year (an election year, no less), we'd like to bring you a special message and invitation from talk radio star Michael Medved . . .
Michael will be appearing live in Honolulu in order to bring a special conservative message to Hawaii about Republican unity and determination at this critical point in American history. For a sneak preview of his message, you can read Michael's current article on this subject in the December 2013 issue of Commentary right HERE. The lesson of 'Republican Unity' is just as important here in the islands as it is on the mainland where the mainstream media reports daily on what they describe as a "civil war" between conservatives and establishment RINO's over the direction of the Republican Party. It goes without saying (but should still be said) that the kind of reforms desperately needed in Washington, D.C. and here in our own state will never take place while Democrats control the executive and legislative branches of government. Michael Medved's insights are intended to ensure that Republicans put enough points on the board in 2014 and beyond to turn back the nightmare of Obamanomics and reverse Obama's radical social policies. 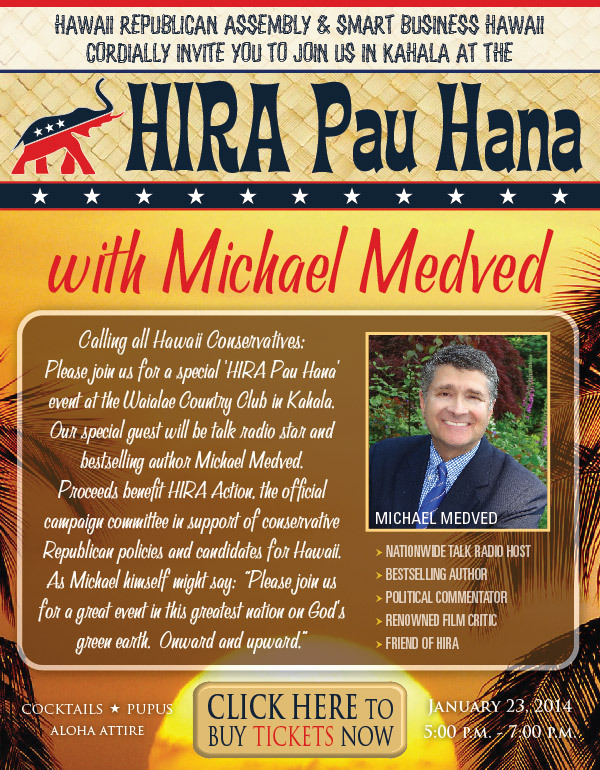 Just as Michael Medved is committed to ensuring a conservative victory, HIRA is committed to providing Hawaii conservatives with actual conservative events with conservative speakers. 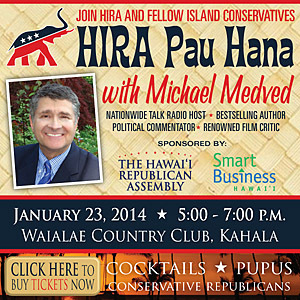 Case in point, tickets are now on sale for our first 'HIRA Pau Hana event' with guest speaker Nationally Syndicated Radio Host Michael Medved. A best-selling author and veteran film critic, Michael Medved’s highly rated talk radio show emphasizes the intersection of politics and pop culture. 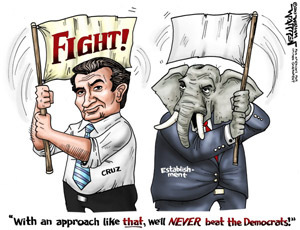 A well-known "cultural crusader," Medved takes on the Democrats and the liberals across the nation. In conjunction with our friends and event co-sponsors at Smart Business Hawaii, we invite you and your guests to join us on Thursday January 23, 2014 at the Waialae Country Club. Tickets are on sale today! Please join us for cocktails, pupus, great political conversations, plus Michael will be sharing his valuable insights about the state of conservatism and the Republican Party in America today. As always at any HIRA event, 'red meat' will definitely be on the menu. Our first HIRA Pau Hana event is a benefit for HIRA's political SuperPAC: HIRA Action. 100% of proceeds from all HIRA fundraising is dedicated to communicating our conservative Republican message in 2014 and beyond; promoting conservative Republican solutions and candidates in Hawaii. No overhead, no salaries, no headquarters. Just political messaging and campaigning.